Workman Publishing Company, 9780894805288, 228pp. Many of today's parents feel as helpless as a child when it comes to comforting their own children through the fears and crises that are a part of growing up. But Australian psychologist Doris Brett has developed a simple technique that all parents can use to help their children work through a problem or a crisis. Tell them a story. 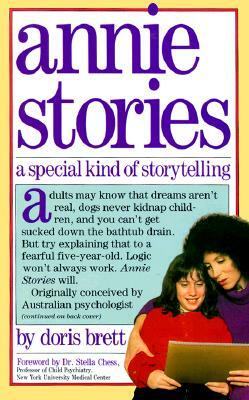 Not just any story-tell them ANNIE STORIES. ANNIE STORIES are special. They're not happily-ever-after fairy tales of make believe; they're stories that deal with the real-life emotions of common childhood anxieties and difficult situations, such as starting school for the first time. Doris Brett is a clinical psychologist who lives in Melbourne, Australia with her husband and daughter.